There is nothing like enjoying a nice day sitting on the furniture of your porch or patio but unfortunately, these days will have to end for a couple of months. The winter season is quickly approaching and if you have outdoor furniture, it is time to get it prepared for storage over the long winter. 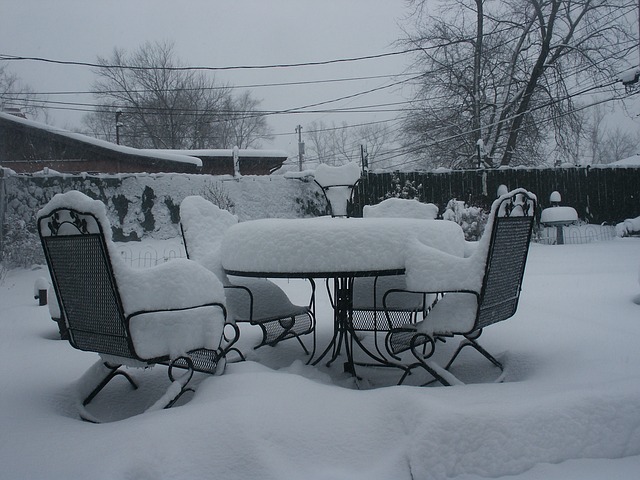 Outdoor furniture is typically stored in a garage or shed during the winter, or covered with a tarp to keep snow and other moisture off the furniture. Regardless of how you store your outdoor furniture, it must be cleaned and covered properly so that it is still in good condition in the spring. The following are effective cleaning and winter storage tips for your outdoor furniture. Take off the fabric covers of the cushion and wash them in the washing machine. You should use a little bleach if the label allows it for the type of fabric to kill mold or mildew. You can store your cushions inside to keep them clean and dry but if you are keeping them in a shed or garage, keep them covered with a cloth tarp. Hammocks can be washed in the washing machine with regular laundry detergent and it is best to keep them folded and stored indoors. If you have an umbrella on your patio table, wash it with a brush and mold detergent. Open it up to let it dry but make sure to keep it closed when in storage. Metal furniture can be protected from the snow with a thin layer of automotive wax. Use water and detergent to wash the entire surface of all metal furniture pieces, make sure to scrub and rinse thoroughly. If there is rust or oxidation on the furniture, use a rust-neutralizing primer and steel wool to remove the rust and smooth out the area. Use spray paint on the spot if you have removed some of the paint. Protect your metal furniture with a thin coat of automotive wax and buff the entire surface. Remove dirt and mildew from the furniture using a brush and a bleach and water solution. When you are finished, rinse with a garden hose using a fine spray and leave it to dry. If the color or paint is worn out, use spray paint to fix it. Apply moisture repellent on the ends of the wicker grains. Keep wicker furniture in a dry place for the winter and off the floor or ground if possible. 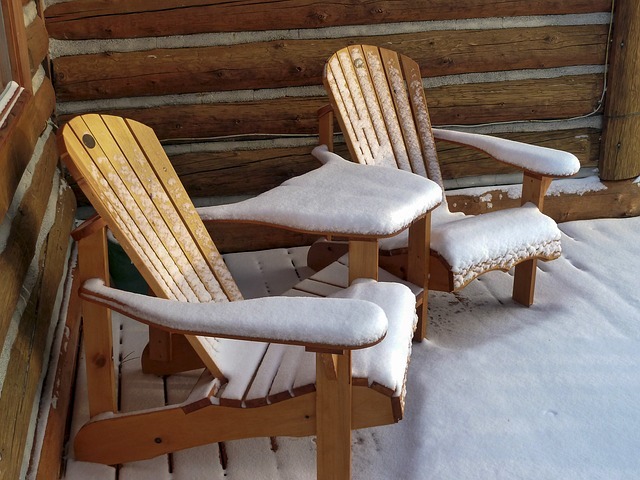 Teak and cedar furniture can be left outside during the winter if it has been properly prepared. Use a bleach solution to clean teak and cedar furniture which will lighten the color of the wood and kill mold and mildew growth. Use 120-grit abrasive sand paper to sand the surfaces. Apply a layer of China wood oil, or tung oil, for protection. It is safe to keep cedar and teak furniture stored outside if it is properly treated. Use a solution containing water, detergent, and bleach to clean the furniture with a sponge. After cleaning, rinse with a hose and let it dry. Take care of worn out paint before putting it into winter storage, apply fresh paint if necessary. Apply a clear water repellent and a protective coat of paste wax over the furniture to preserve the finish. Plastic furniture does not need much care before going into storage for the winter except for a through washing and rinsing. It is best to store plastic furniture inside or somewhere where it can be protected from freezing temperatures. As the days of good weather start to dwindle, take these steps to clean up your outdoor furniture before putting it into storage for the winter. With effective cleaning and storage, you can keep your outdoor furniture protected through the winter so that it is ready for use in the spring. If your outdoor furniture is damaged or worn out, a furniture restoration professional can repair and restore it before you put it up for storage.